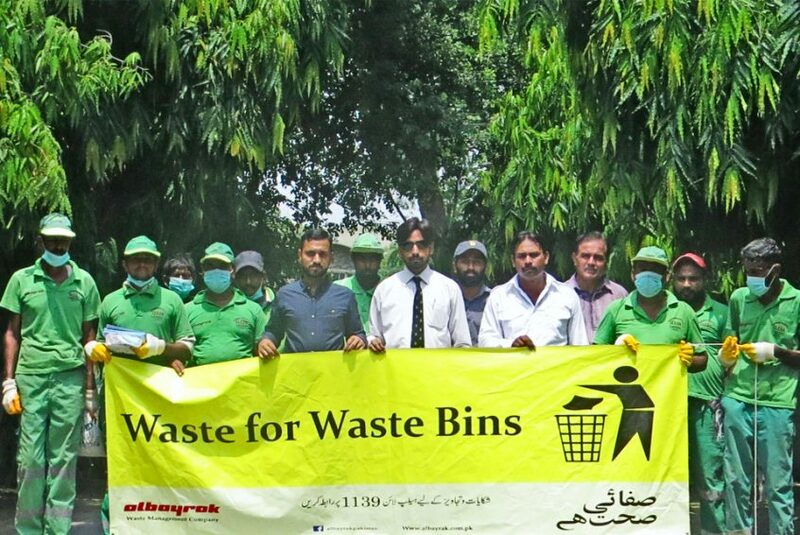 Lahore: Albayrak Waste Management arranged a special cleanliness & advocacy drive in Jam-i-Shireen Park on Monday. The one day drive was carried out on the special request of residents of Gulberg, UC-203. GM Operations Albayrak Osman Nuri joined the activity and supervised the cleanup operation in and around the park. Albayrak team established an awareness camp in the premises of the park and briefed the visitors about proper waste disposal. Later, the team along with Qarshi Foundation officials reached out to the local shopkeepers and residents and requested them to contribute their efforts in keeping the public parks and places clean and waste free. Albayrak team said that the growing awareness and concern in public and private companies about proper waste management is a very welcoming development. An awareness walk was held at the end of the drive in which representatives of Albayrak Company & Qarshi Foundation participated.